Join Mokou as she ventures through to defeat whoever is causing this incident; Even with Mokou's infinite life, she has to kill enemies and burn objects to refill her life force. Burning objects and enemies refills life. Down+Attack stomps in the air and ground. Holding Down without jumping moves the camera down. If you die, quickly defeat enemies or burn things to come back to life. 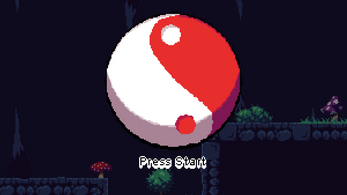 A well made platformer that expects players to learn how each action work entirely. Well done graphics too. I'm not sure if this is a really hard game or if I'm just really bad at it. It's quite cool either way. The graphics are very lovey and the music is nice. The intro cutscene really gave the game that "polished game incoming" feel. I only wish there was an indicator for how long you had left as a ghost. Yeah, I kind of wish itch had a way to display the page with all the information on the front page. It probably caused a number of people quite a number of problems. I am glad you had fun! Hopefully next time, if I do Dialogue, I can get that sort of thing fixed up. I did a Twich stream of your game on Sunday 01/13/19 and I uploaded it to my YouTube channel today. Somehow I didn't see these here, oof. Thank you for the feedback!